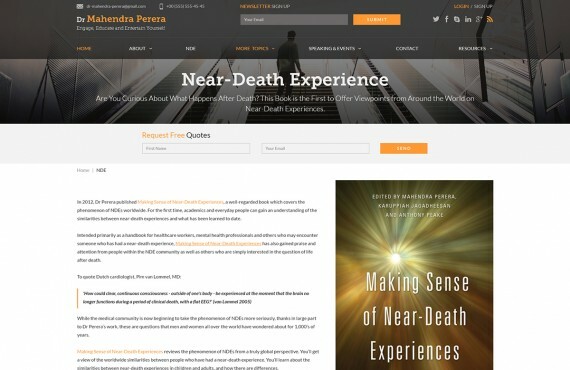 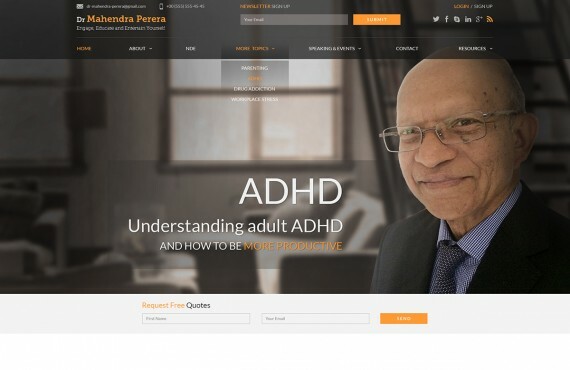 Dr. Perera, MBBS, PsD, MD (psych) with over 30 years of experience in psychiatry needed a website that would present his new book and exhibit his practice before the public. 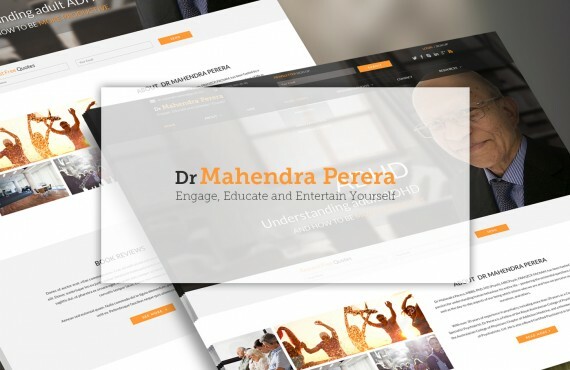 The aim was not just to create a website but to craft an image of a person online, to create a favorable atmosphere and share the ideas developed by Dr. Perera during his practice. 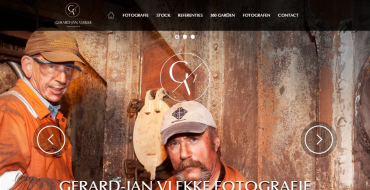 The client provided the content for the pages, described the way he sees the site and every page and the desired warm color scheme. 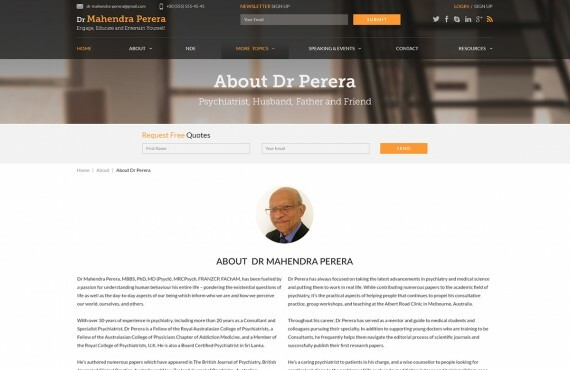 We also received the images that were selected for the site including Dr. Perera's photo. 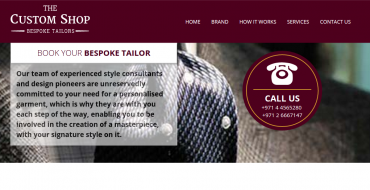 It's incredibly important for web presence to achieve mutual understanding with the target audience and express the ideas in the most acceptable form. 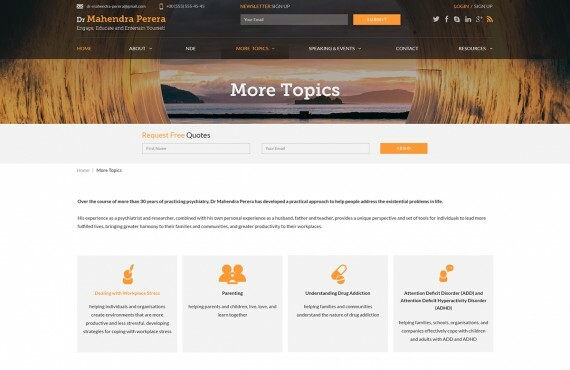 Considering all provided recommendations and content, we designed web pages following modern design techniques and trends. 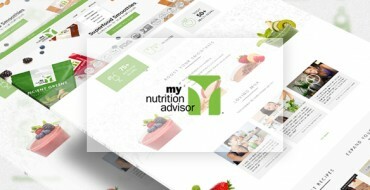 The client was provided with high-quality layered .psd files created through Adobe Photoshop CS6.